Mjørud perform upgrades on several boilers for municipal waste in Norway. 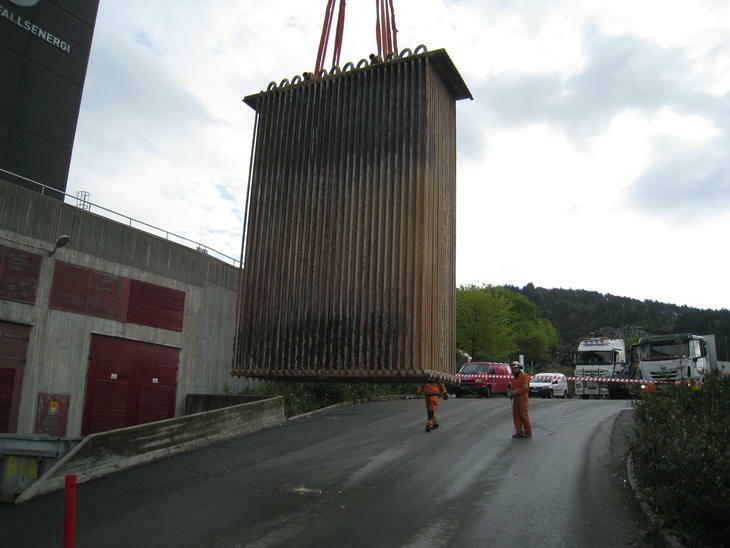 The picture shows replacement of a complete superheater in Rådalen near Bergen, Norway. The complete unit has a weight of approx. 30 tonnes, and was fabricated in Mjørud workshop. Other typical jobs would be replacement of panel walls in the furnace, etc.